Planning to travel abroad? Looking for travel safety tips? We hope to help you prepare with this safe travel checklist including 92 travel safety tips. Pack multiple debit cards and wallets. Timely check the validity of your passport and whether you need a visa. Learn important sentences of the language of your destination by head. Mark your luggage so it stands out. Timely check whether you need any vaccinations. Pack a loose lock, so you will be able to secure your baggage on your way. Using this lock, you will also be able to use your suitcase as a safe (in case there is no safe in your hotel room). Always use a TSA-lock for your suitcase. Pack a portable battery for your phone. Make sure you have a decent travel insurance. A Secrid Wallet will protect your debit cards against skimming. You can also use a special anti-theft backpack. Buy a prepaid credit card. Going to travel around? Practice packing before you leave. Pack a Dopper water bottle. Pack a decent pair of walking shoes. Let your bank know you’ll be travelling. Do not forget an extra battery for your camera. Do you travel to a cold destination? Pack your thermo underwear. Inquire if you have to legalize your medicines for your destination. Bring a flashlight and a pocketknife (check-in luggage). Take an extra pair of socks. Know local customs before you go. Buy a cabin size suitcase that you can place underneath your airplane seat (underseater). So you can keep an eye on your baggage during the entire flight. Go for a test walk with your packed backpack. Make copies of your passport and keep them in your check-in luggage, hand luggage as well as your pocket. Create a first aid kit with patches, a disinfectant, sunscreen, anti-mosquito and diarrhea inhibitors. Use Pack It pouches to protect your baggage from liquids that may leak. Read about other cultures. For ladies: wear a headscarf and dress yourself appropriate for your destination. Write down the telephone number of your Bank, so you will be able to block your debit card if necessary. Keep phone numbers of local authorities and the embassy in your mobile phone. Keep travel documents and other important documents in the cloud, so you will be able to print those in case of emergency. Know at which departure hall you have to check-in and be on time. Do not take too much luggage. Know the kg-restrictions of the airline you travel with. Separate your personal items if you travel with a companion (if one of our bags gets lost, you both still have some clothing and personal items). 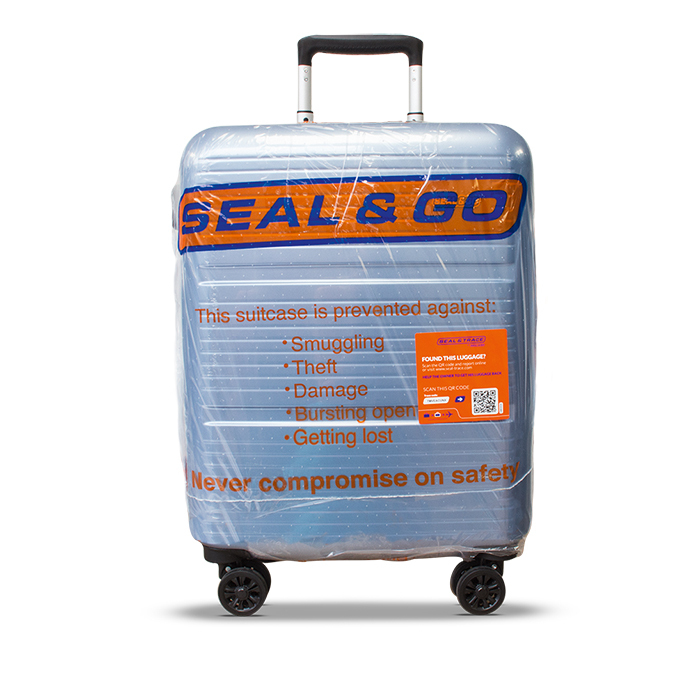 Let your baggage get sealed, so it will be protected against damage, theft, bursting open, smuggling drugs and getting lost. If you go backpacking, you should buy a backpack cover so loose straps will not get stuck during transportation. Watch your suitcase as it appears on the carousel. Stay hydrated during your flight. Always line up behind business travellers. They know how it works. Do not take your baggage from the conveyor belt if you suspect someone messed with it. Report yourself to Customs. Keep electronics and medications in your carry-on luggage. 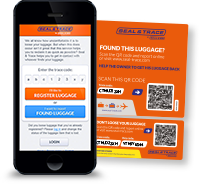 Use a closable luggage tag and never write down your home address on it. Keep your cool when something goes wrong. Never leave your luggage unprotected. Upload your photos in the cloud (in case your camera gets lost or damaged). Avoid looking or acting like a tourist. Wear a hat to prevent sunstroke. Safe your room number & hotel address in your mobile phone. Do you go bushwalking? Cover your lower legs to protect them from insects. Be aware of your spending. Ask permission when you take a picture of someone. Try to pay with small bills. Review the hotel escape route. Do not trust people too quickly. Do not share a taxi with a stranger. Take a fake wallet (without money) and wear it on a clearly visible place (for distraction). Wear your money in a money belt on your body and hide it at several different places. Drink enough water if it is hot. Don’t take the hotel card sleeve with your room number on it when you go out. Charge your devices when you have the chance. Wear flip-flops in hostel showers. Beware of free public WIFI. Write down the address of your accommodation before you arrive, preferably in the local language. Always pack your things the night before leave. Walk like you’ve got a purpose and you know the way. Avoid carjacking – keep doors locked and windows up. Going bush walking? Inform your hotel/hostel owner about this. (In case you get lost, someone will know where to find you). Do not use Internet banking in an Internet café. Let someone at home know your plans. Avoid grimy back alleys, especially at night. Look carefully before you insert your pin code automatically. In some countries, the numbers are in a different order. Do not forget to take your bank card. In some countries the money appears first. Stay healthy: get enough sleep, stay hydrated, eat healthy and use sunscreen. Do not take strangers to your hotel room. Only use ATMs when there are people around. Do not post photos on social media during your travel, but wait until you are home again. If you do post during your travel, burglars will know you are not at home. Protect your eyes with UV400 sunglasses. Be careful with food that you buy on the street. Always beware of scams. For example: fake-priests or fraudulent taxi drivers. If you travel by taxi, agree on a fixed price in advance. Always beware of pickpockets. Do not let yourself get distracted. This might be a trick. Do not show with your passport or wallet. Lock your hotel room with the extra hook or chain. Avoid hotel rooms with a street side entrance. Inquire information about neighbourhoods you should avoid. Do not accept a drink from strangers and do not drink too much alcohol when you are alone with strangers or people you have only just met. And finally: always use common sense.